Haven’t you herd? Firefighters rescued two cows from a ditch yesterday. 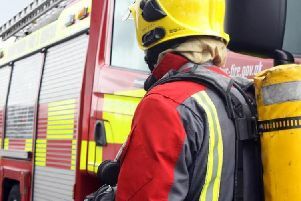 Crews from Matlock and Bakewell arrived at Clodhall Lane, Curbar at around 5.53pm yesterday (Tuesday, September 11). With the assistance of an animal rescue team and two farmers, they managed to moo-ve the animals from the five foot ditch. A happy ending to an udderly problematic situation.